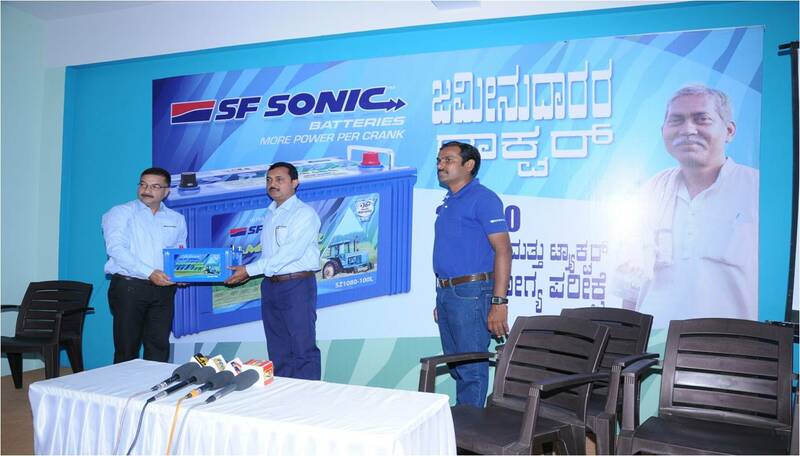 SF Sonic conducted its third edition of ZAMINDAR KA DOCTOR in SHIMOGA near Bangalore on 22ND September, 2015. It was a camp that included free medical checkup for Farmers and free battery checkup for their tractors. On the whole, around 160 farmers participated and reaped benefits from the conducted programs. This meant 160 healthy and happy famers with 160 healthy batteries in their tractors. In addition to the checkups, every tractor owner was presented with a gift. A Lucky dip event was also conducted at the venue. 3 winners were chosen and given prizes which included 1 Zamindar 88ah battery, 1 SF 850 HUPS, 1 MC 5LB Battery as first, second and third prizes respectively.